Anthony is a Credentialed Mental Health Nurse with over 25 years’ experience in the mental health field. During this time Anthony has gained experience in Child & Adolescent, Adult and Aged Care Mental Health Teams at Ballarat Health Service. Prior to moving into a Management role 5 years ago, Anthony was the Dual Diagnosis Co-ordinator for the Grampians Region. Over the last 2 years Anthony has Managed the Social Outreach Mental Health Services at St John of God Healthcare Ballarat, recently moving to the role of National Raphael Service Coordinator with St John of God Healthcare. This is Anthony’s second term as Chairperson of the Grampians Mental Health Conference. Kelvin Wilson (Secretary) , RN, CMHN, BNg, Grad Dip Ed Admin. Heather is an Occupational Therapist and has worked in the Ballarat health sector (primarily aged care, rehabilitation, domiciliary and community care) for 25 years before commencing work as a Program Coordinator, Program Manager and Project Manager at the Ballarat and District Division of General Practice and Grampians Medicare Local. Roles included needs analysis and program planning, connecting residential aged care and General Practice, Diabetes Prevention, Aboriginal Health and the introduction of new Commonwealth funded programs intended to Close the Gap. 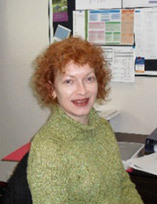 Heather is now employed in the AOD sector as Catchment Planner for the Grampians Region at Ballarat Community Health. Sue is the Coordinator of Mental Health Services at Centacare Ballarat. Prior to her current role she worked for CatholicCare NT and was the Manager of the Palmerston Office and Manager of Homeless Prevention Programs. Sue has been working in the sector in varied roles since 1981. Julie is a registered Occupational Therapist with 30 years’ experience in a range of health settings in clinical, senior clinical and managerial roles. During that time she has gained over 17 years’ experience in a range of clinical mental health settings in WA and Victoria including acute and community settings and with clients across the lifespan. She has a particular interest in recovery focussed programs. In her current role as Team Leader of Carer Respite and Support Services she works with carers from all target groups but retains a particular interest in mental health, capacity building and promotion of health, wellbeing and resilience in both clients and staff. 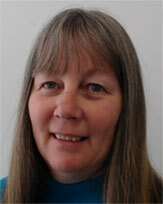 Gail McNaul is a registered mental health nurse with 40 years experience. 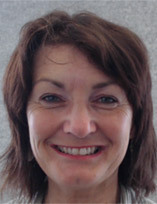 Gail has a background both in Australia and overseas as a clinician, in clinical and nonclinical mental health practice. This experience comes from working in acute, community, aged care, forensic and rehabilitation areas of mental health. Gail has also worked as a clinical instructor, manager and mentor in mental health and is currently a Facilitator with Grampians Partners in Recovery based at Ballarat Community Health and co locates one day a week with the Department of Justice in Ballarat. Gail is passionate about recovery for people with mental illness and was the first person to train in the delivery of the Recovery Star in Australia. Nikki started with ACSO in the Team Leader role in the Grampians in September 2014, following 10 months’ work with the MHCSS Pilot Program in the Bayside Region of Melbourne. 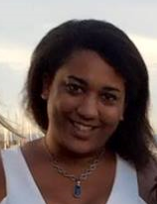 Later in the year, she moved into a project role as the MHCSS Project Liaison, looking at ACSO’s policies and procedures as a regional intake and assessment provider, and with the aim to standardise the process and create effective lines of communication through the initial stages of the reform. In July 2015, Nikki moved into an ACSO Connect Project Liaison Role, expanding her work with the MHCSS System and looking at policies and procedures across all three ACSO Connect program (MHCSS, AOD, and COATS). Later in 2015, Nikki was successful in her application to become the Regional Manager for the Grampians and Great South Coast, and started her role as Regional Manager on the 1st of November 2015 when the organisational restructure came into effect. Peter is a Registered Psychiatric Nurse and Alcohol and Other Drug worker, with over 30 years’ experience in the mental health field as both a clinician and manager. 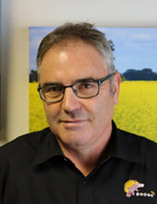 Having worked at Ballarat Health Services for 23 years in public mental health, Peter completed his Master’s Degree in Mental Health/Psychiatric Nursing and moved into clinical management at Barwon Health (aged care) and then Bendigo Health Care managing three rural Community Mental Health facilities. Returning to Ballarat, Peter completed a Graduate Certificate in Aboriginal Studies and now works as a Dual Diagnosis Clinician at the Ballarat and District Aboriginal Co-operative. Peter’s particular interest is Aboriginal men’s health and wellbeing and health promotion.